Lieutenant Colonel José Antonio Muñiz (October 16, 1919 –July 4, 1960) was a former United States Air Force officer who during World War II served in the United States Army Air Forces. Together with then-Colonels Alberto A. Nido and Mihiel Gilormini he founded the Puerto Rico Air National Guard. In 1963, the Air National Guard Base, at the San Juan International airport in Puerto Rico, was renamed "Muñiz Air National Guard Base" in his honor. Early years - Muñiz (birth name: José Antonio Muñiz Vazquez) was born in Ponce, Puerto Rico. There he received his primary and secondary education. He attended the "Colegio Ponceño de Varones" in Ponce and later the University of Puerto Rico (UPR). During his student years, he was a member of that institutions Reserve Officers' Training Corps (ROTC) program. Like many Puerto Ricans who became interested in aviation, Muñiz made use of the Civilian Pilot Training Program, a federal program which came about with the approval of the Civil Aeronautics Act of 1938. The CPTP used the classrooms of the University of Puerto Rico at Rio Piedras, which was supported by government funds and which provided a pool of young civilian pilots who could be available for military service if war came. Executive Order 8974, which was signed on December 12, 1941, transferred the CPTP into a wartime program under the War Training Service (WTS). All WTS graduates were now required to sign a contract agreeing to enter the military following graduation. 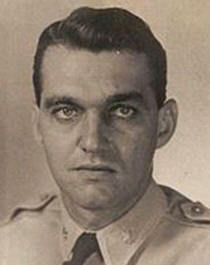 Muñiz received a commission as a 2nd Lieutenant in the United States Army from the ROTC, upon his graduation from the UPR in 1941. World War II - Muñiz joined the United States Army and in 1942 was assigned to the United States Army Air Forces (USAAF), a component of the Army and received additional training as a fighter pilot. The USAAF was the military aviation arm of the United States of America during and immediately after World War II. He served with distinction in the China-Burma-India. During his tour of duty he flew 20 combat missions against the Imperial Japanese Army Air Forces and shot down a Mitsubishi A6M Zero. Post World War II and the Korean War - Muñiz continued in active duty until May 1947. Together with then-Colonels Alberto A. Nido and Mihiel Gilormini, he founded the Puerto Rico Air National Guard (PRANG). During the Korean War he was recalled to active duty and was reassigned to the United States Air Force (aviation military branch which was formed in September 1947). Muñiz served actively in said branch until February 7, 1958. "We were short one pilot and Joe (Muñiz) offered to stand in. I was formation lead. Right after departing the runway, his afterburner nozzles failed open, indicating a loss of power. The ejection seats in use at the time could not safely extract a pilot at low altitude and Joe went in little after takeoff. No one in the flight mentioned the event; we executed the flyover and were notified of the loss upon our return to base. Shortly after that, we received the F-86H which did not use afterburning and could fly non-stop from homestead AFB (in Florida) to San Juan unlike the previous D and E models, which had to stop for fuel at Guantanamo, Cuba." Muñiz was buried with full military honors at the Puerto Rico Memorial Cemetery in Bayamon, Puerto Rico. Muñiz had married twice. His first wife was Laura Elena Lluberas Kell, who died at an early age, and he had one son from that marriage: Terry Francisco Muñiz Kell. His second wife was Sara Emilia Olivari and they had four children: Jose Antonio, Cristina, Ana Elena, and Eric Muñiz Olivari. Legacy - In 1963, the Air National Guard Base, at the San Juan International airport in Puerto Rico, was renamed "Muñiz Air National Guard Base" in honor of Lieutenant Colonel Jose Antonio Muñiz Vazquez. Muñiz Air National Guard Base is the home of the Puerto Rico Air National Guard's 156th Airlift Wing and the 198th Airlift Squadron. Muñiz ANGB a has hangar, Command Offices, a U.S. Air Force & Air National Guard recluting office, Classrooms, Maintenance shops, A Community Club, a Family Readiness Center, a post barbershop and NGX has a Post exchange on base.